The International Center at California Baptist University hosts several events each year to build relationships between international and domestic students. The center hosts weekly “international tea parties” every Friday at 3 p.m. in front of Mission Hall, giving students the opportunity to take a break from their hectic schedules and connect with students of different ethnicities and cultures. “Anyone is welcome to come and stop by for some tea and take the time to meet other people from around the world,” said Tiffany Hamilton, graduate assistant of International Student Services at CBU. Apart from having tea, students engage in games and other social activities that help build relationships with one another. Woun Kim, junior psychology major from South Korea, said he enjoys meeting people, especially from different countries and backgrounds. The International Center helps students from other cultures adjust to American culture and campus life. 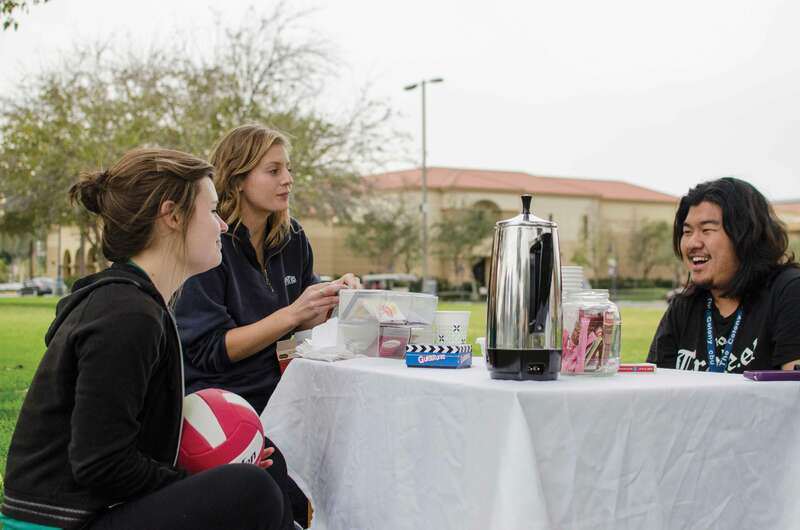 The tea party gives students the opportunity to build relationships with Americans in hopes that the friendship will progress through other activities on campus. “I come for the tea party every week because I want to see my friends and find out what they are up to,” Park said.